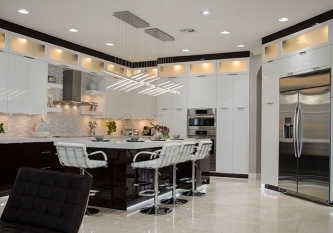 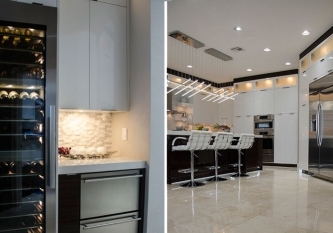 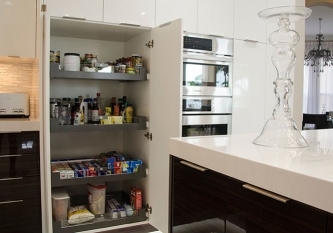 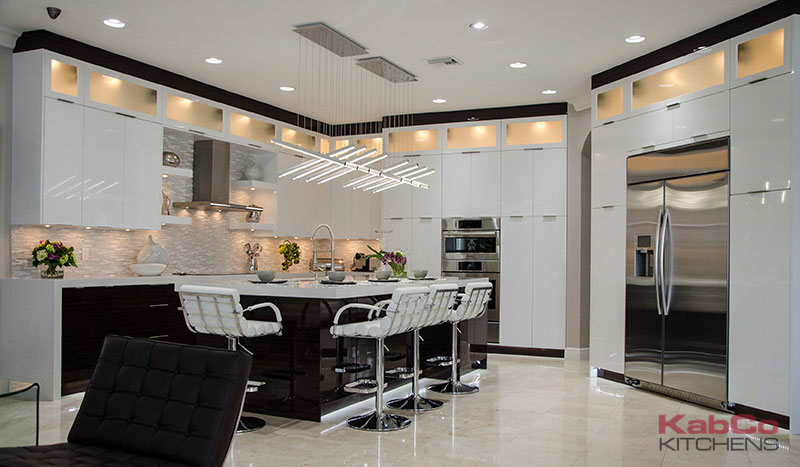 Stunning high gloss Miralis Cabinetry by KabCo Kitchen brought style and innovation to this home. 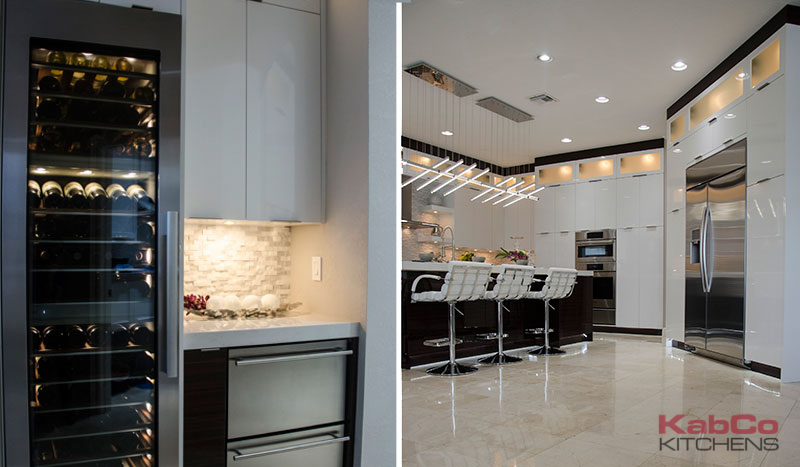 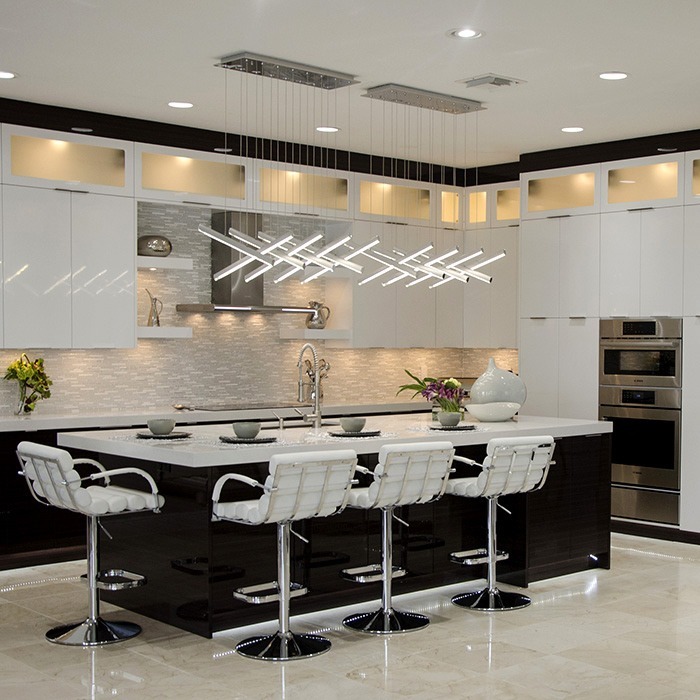 Seen here are custom solid white lacquer cabinetry 42″tall stacked with 15″ tall horizontal wall cabinets. 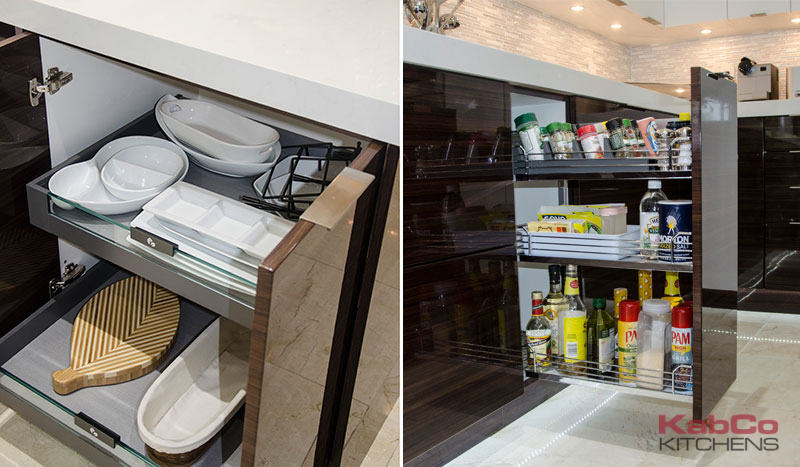 Contrasting brown polymer base cabinets were designed using a horizontal grain. 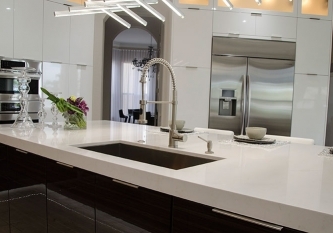 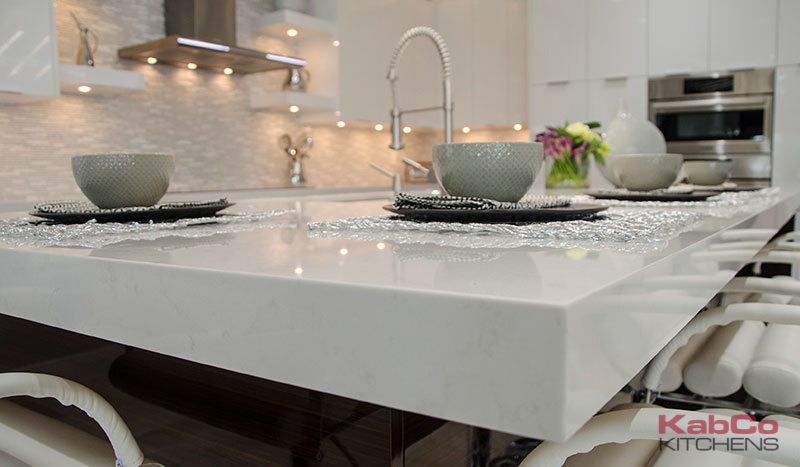 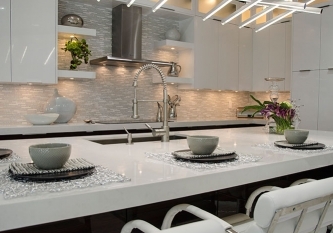 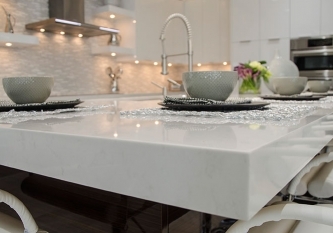 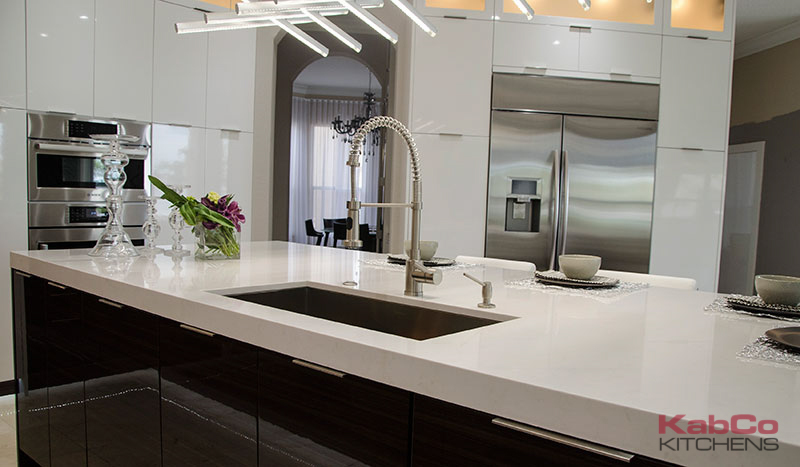 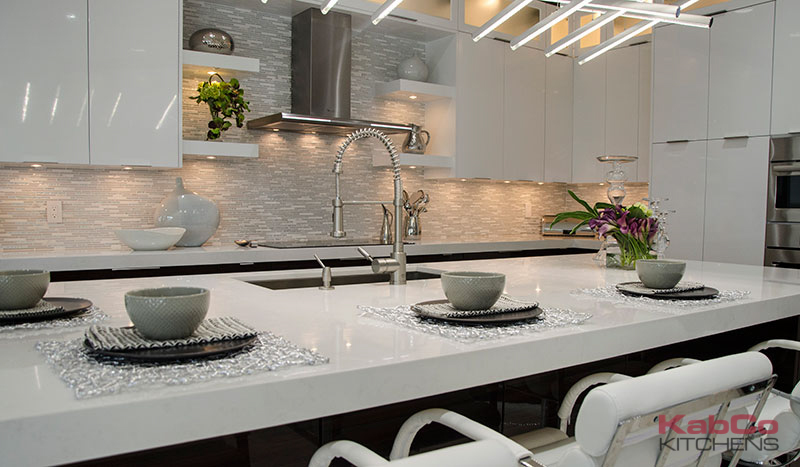 Carrara quartz counters 2.5″ thick were installed with square waterfall edges. 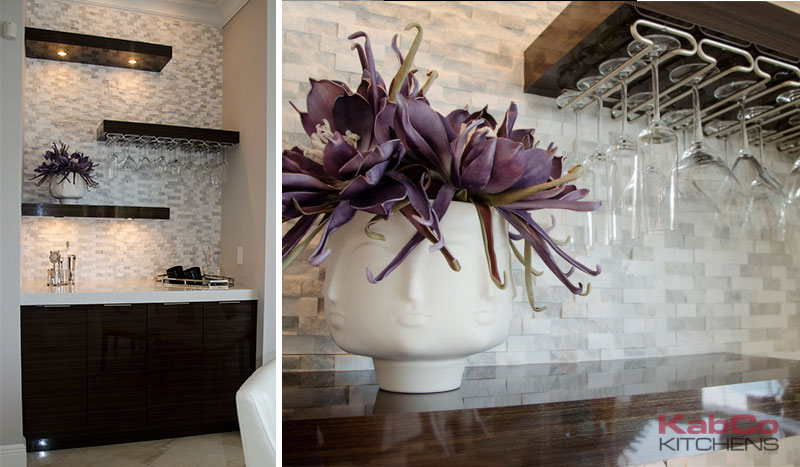 Each and every detail was meticulously selected by our talented designers to achieve this contemporary renovation. 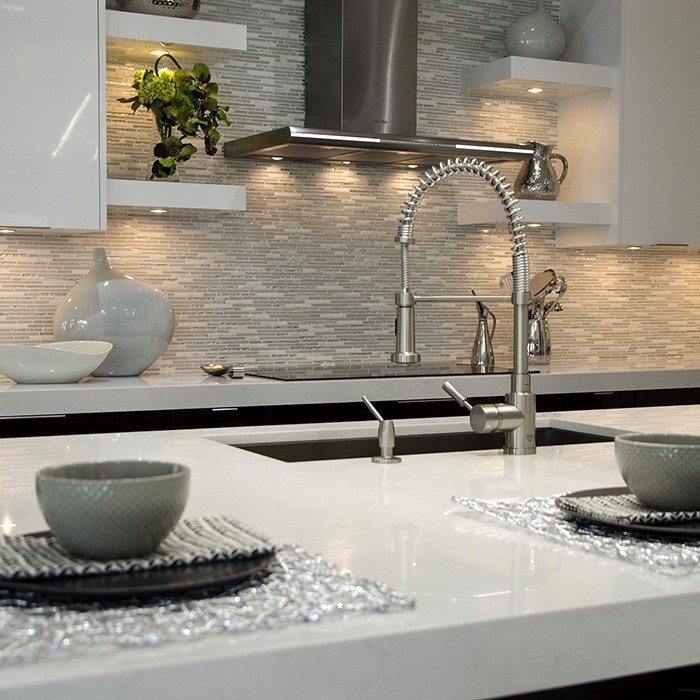 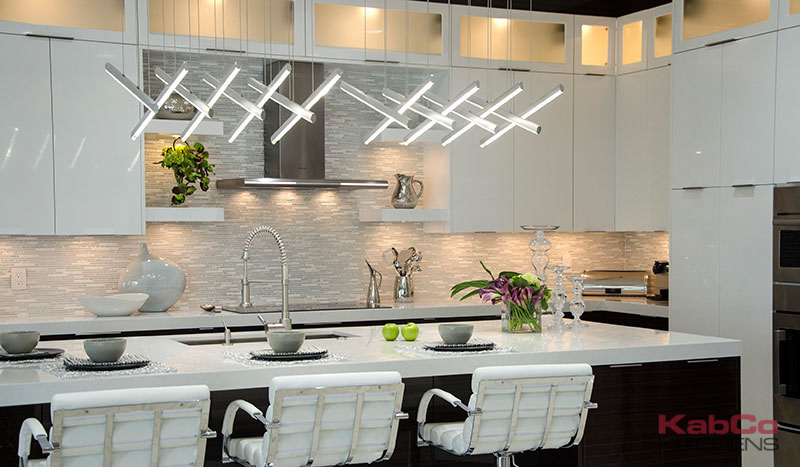 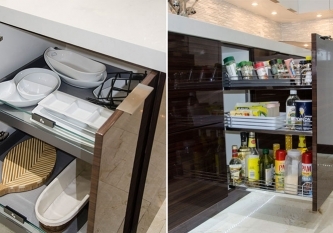 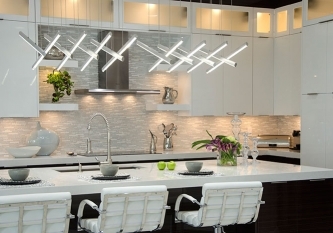 Luxury fixtures, state of the art appliances, mosaic backsplash and smart storage solutions add style and function. 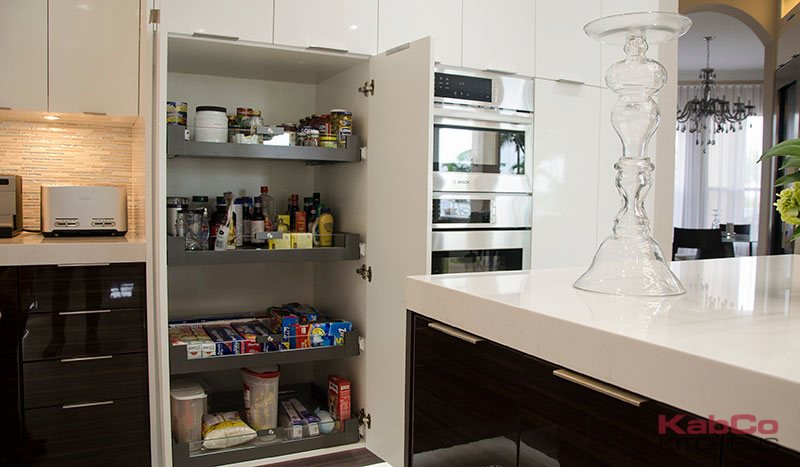 Our contemporary redesign has become this family’s modern treasure alcove in the heart of their home. 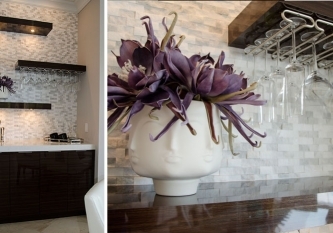 Browse this gallery for a closer look at accessories with our fine attention to detail.